Glass King specializes in residential and commercial glass repair and glass replacement services. Based in Phoenix, there’s a high demand for their service in the area. They came to us several years back asking for a redesign of one of their smaller microsites. 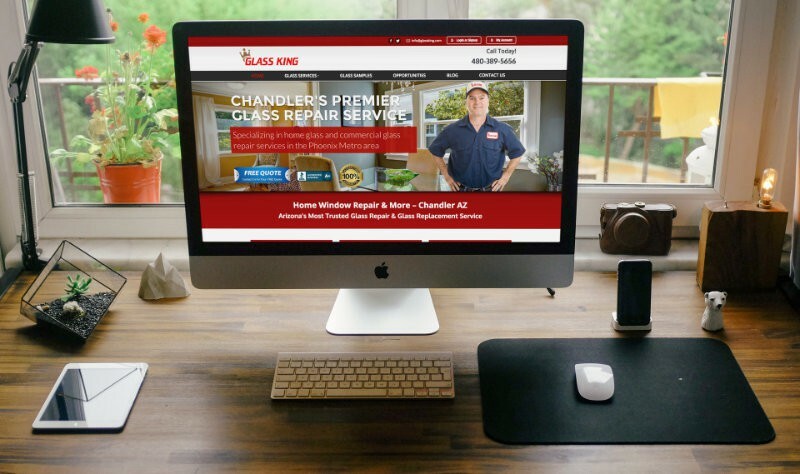 They then hired us to redesign and manage all of their other micro digital properties as well as their flagship site, glassking.com. 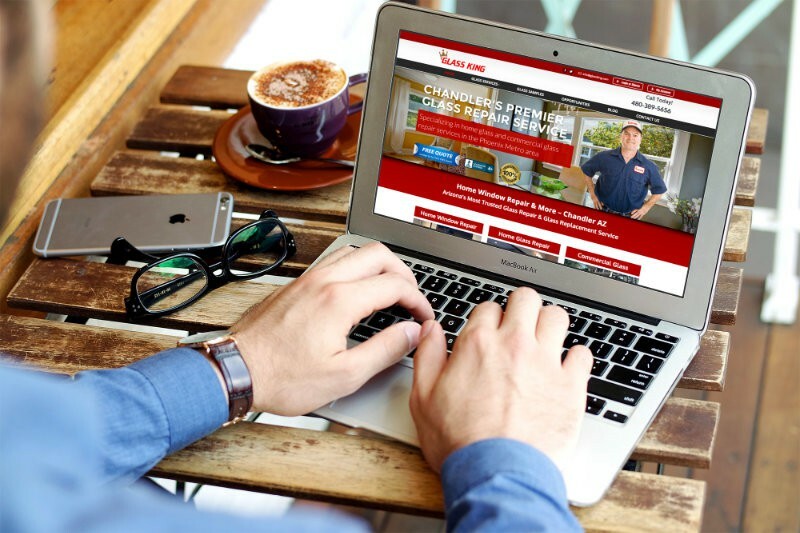 We’ve been managing the website for several years now and each year, we add new design improvements and aesthetic changes to enhance the look and feel of the website. 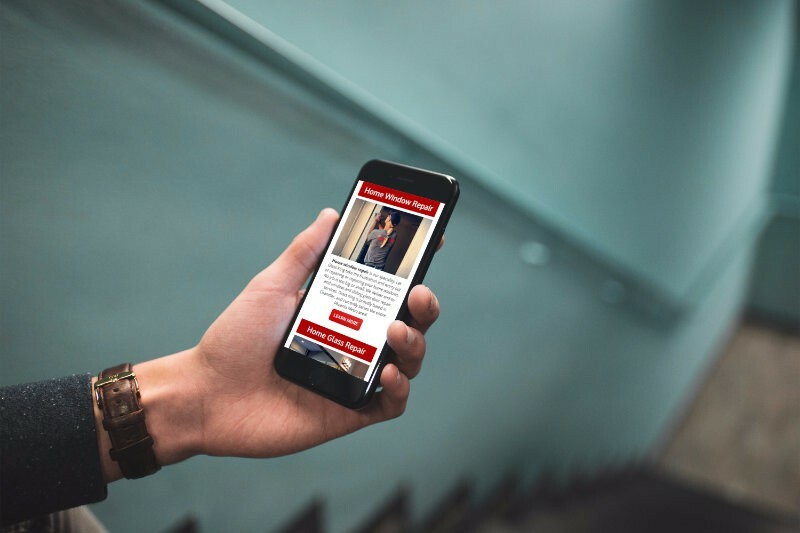 We wanted to build something that was bright and eye-catching, something that was modern without being overly minimal, and something that made use of imagery but still had excellent search presence due to lengthy and relevant on-page content. We used the Glass King red as the website’s primary color, with the only other complementary colors being white and black. 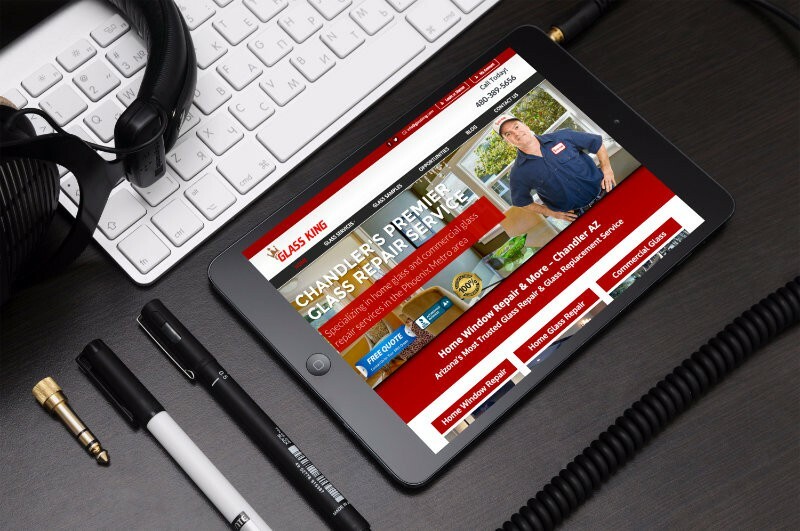 We used a traditional, corporate page look that helps make the website and company look very professional. 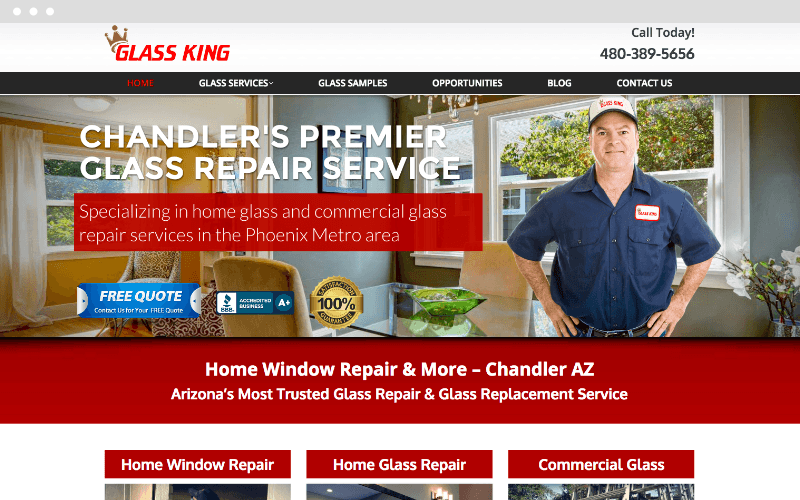 All in all, the website looks pro and helps Glass King project the professional image that they’re after.